On 30 November 2016 highly respected Tauranga iwi leader and educator Awanuiārangi Black passed away at the age of 48. He was also known as Awanui or Awa. Born in 1968, Awanuiārangi Black was affiliated to Ngāti Pūkenga, Ngāi Te Rangi, Ngāti Ranginui, and Ngāti Raukawa ki Otaki. He was named for Te Awanui (Tauranga Harbour) and dedicated his life to the region. As a young person he was selected for education in traditional knowledge. Awanui Black on Mauao (15 September 2013). Photo: Lee Switzer. Awanui BLACK. ONE BOP. My principal place of residence is in the Mauao Māori Constituency area. Our Iwi, people and kaupapa Māori are my passion, my vision, my love and my focus. Our Mauao area is where I am from, where I have given most of my energies to over many years in education (National Iwi Leaders Forum Committee, local educational programmes), environment (Chairman - Rena Iwi Disaster Response, BOP Iwi Leaders Forum Chairman), reo (Board Member, Māori Language Commission), culture & arts (Matatini Kapa Haka Judge, Toi Māori National Mari Arts Committee), and much more. I want to continue this and make a real difference. I aim to make things better in a real way for our people. I am with ONE BOP because it makes sense - ONE collective approach. Power to the people! Most importantly - I want to use all of my experiences to make a difference in everyday lives here at home. Help me help Māori by Voting Te Awanuiarangi Black. Awanui Black: Battle of Gate Pā Dawn Service (29 April 2014). Photo: Tania Lewis-Rickard. Awanuiārangi co-wrote the haka for the 150th (sesquicentennial) commemoration of the Battle of Gate Pā at Pukehinahina, Te Peruperu a Pukehinahina. The haka describes the lead up to the battle itself, the code of conduct and acknowledges some of the leading figures. It then talks about the confiscations and hope for the future. Awanui Black: Te Ranga Pou Blessing (21 June 2014). Photo: Tania Lewis-Rickard. Te Awanuiārangi Black (21 June 2014). Photo: Tania Lewis-Rickard. Awanui Black under the Gate Pā Flag (21 June 2014). Photo: Tania Lewis-Rickard. 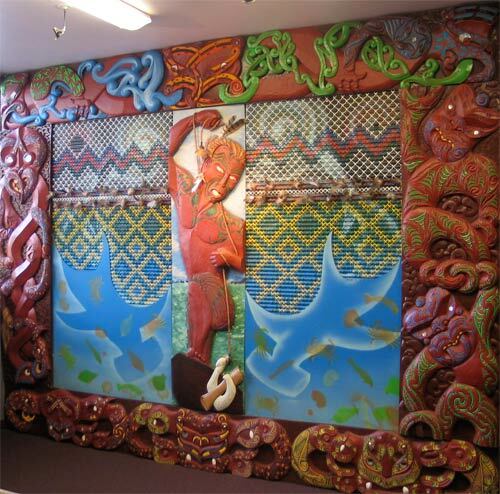 1992: Awanui established the Tūtara Kauika kapa haka group with a dream to revitalise te reo Māori and the histories of Tauranga Moana. 2005-2011: Part of the treaty negotiations group Te Au Maro o Ngāti Pukenga covering areas in Tauranga Moana, Hauraki, Maketu and Whāngarei. 2008: One of the contributing writers of “He Pātaka Kupu” the first comprehensive monolingual Māori language dictionary. 2013: Elected member for Mauao Māori constituency in which he led the special Memorandum of Understanding between Tauranga City Council and Mauao. 2015: Awanui led his group as the first Tauranga Moana team from the Mataatua regionals to Te Matatini kapa haka nationals in Christchurch. 2016-2019: Elected member of Bay of Plenty Regional Council for the 10th Triennium and being chair of the council's Komiti Māori. 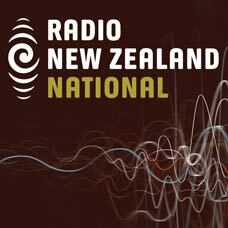 Advocate for the campaign to make an official commemoration day for the New Zealand Wars. 2016: Died in Tauranga Hospital. Awanui Black, Sylvia Willison, Mererina Murray at the 152nd commemoration of the Battle of Te Ranga on 21 June 2016. Photo: Lee Switzer. After a short illness Awanuiārangi Black passed away at Tauranga Hospital in the afternoon of Wednesday 30 November 2016. He was survived by his five children. Awanui's body lay in state at Te Whetu o te Rangi Marae in Tauranga until his nehu (burial) on Sunday 4 December 2016 at Ngāpeke in Ōtūkopiri Cemetery. Bay of Plenty Times (30 November 2016). Tauranga Maori Iwi leader dies. Māori Television (30 November 2016). Tauranga Moana mourns the loss of leader Awanuiārangi Black. Rotorua Daily Post (30 November 2016). Tributes flow for iwi leader. Sunlive (1 December 2016). Awanuiarangi Black remembered.